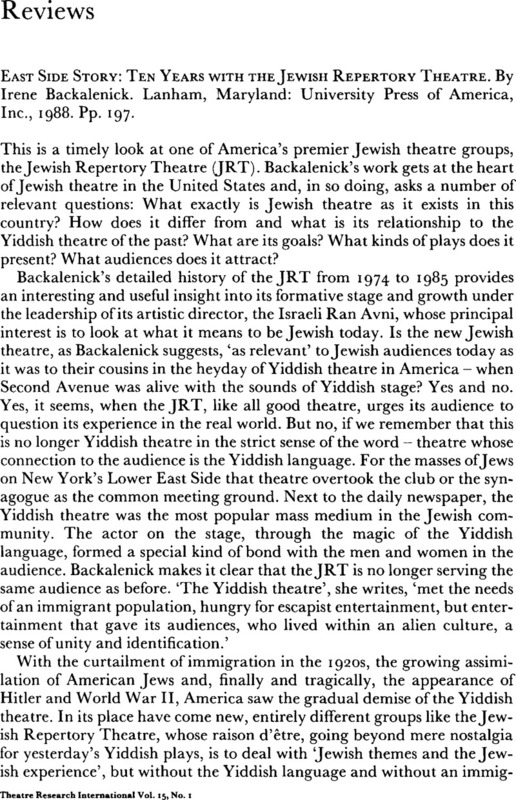 East Side Story: Ten Years With The Jewish Repertory Theatre. By Irene Backalenick. Lanham, Maryland: University Press of America, Inc., 1988. Pp. 197.